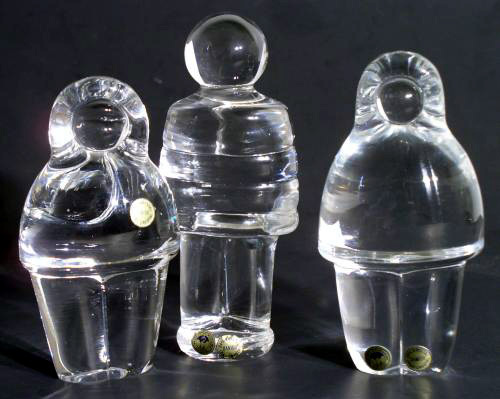 Three vintage Kastrup Holmegaard crystal figures. Two of them are Eskimos and one is a spaceman (rummand) celebrating the 1969 lunar landing. All are etch signed Holmegaard and all of them have Kastrup Holmegaard labels stating that they are 24% lead crystal. The spaceman also has an etched number on the base 130514.